Introducing the latest addition to the LA Limousine fleet! Our 2015 Rolls Royce Ghost Limousine. This stunning stretch can accommodate up to 10 passengers comfortably! When building this stretch we wanted to retain luxury at all cost which is why we had our master coach company take the wheel! After a few short months this beast was ready to serve the clients all over California! We are currently the only company in the US that has a stretch Rolls Royce Ghost so please, don’t be fooled by imposters! This vehicle features a fully stocked alcohol and beverage bar, multiple laser lights, multiple flat screen tv’s, genuine RR leather, strobe lighting, state of the art surround sound systems, LED lighting, and more! Call us today to come check out this vehicle and we guarantee you will fall in love with it! Due to the high demand for vehicles such as this one we URGE our clients to contact one of our specialists as soon as possible to ensure availability! Whether it is your wedding, birthday, club outing, winery tour, corporate event, bachelorette party or even your bachelor party this vehicle is not going to let you down! Relax and enjoy a half a million dollar stretch while your friends, family, and all other onlookers try very hard to peek inside! Don’t drink & drive, we’ll do all the hard work for you! We understand the hassle of calling multiple carriers to find the best price and perfect vehicle! 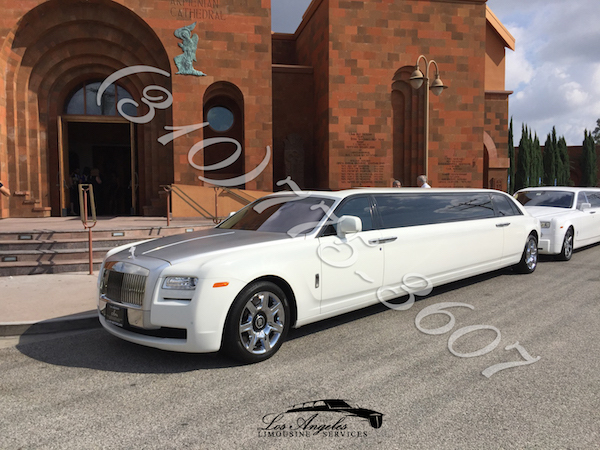 Here at Limo Rental Los Angeles we make our clients needs our first priority which is why we provide such phenomenal service, luxurious stretch vehicles, and affordable prices for all! Our logistics specialists are on call 24/7 ensuring each client’s needs are fulfilled to the fullest! This is what makes us one of the best transportation companies in the city! We make booking any vehicle from Limo Service Los Angeles simple, and affordable so please, make sure to contact us today for a free price quote either on this vehicle or any other within our fleet!